[07/18/2018 @ 10:39 AM] Book this fare on: Priceline, BookingBuddy, Travelocity, Expedia, Orbitz, Hotwire, CheapTickets. 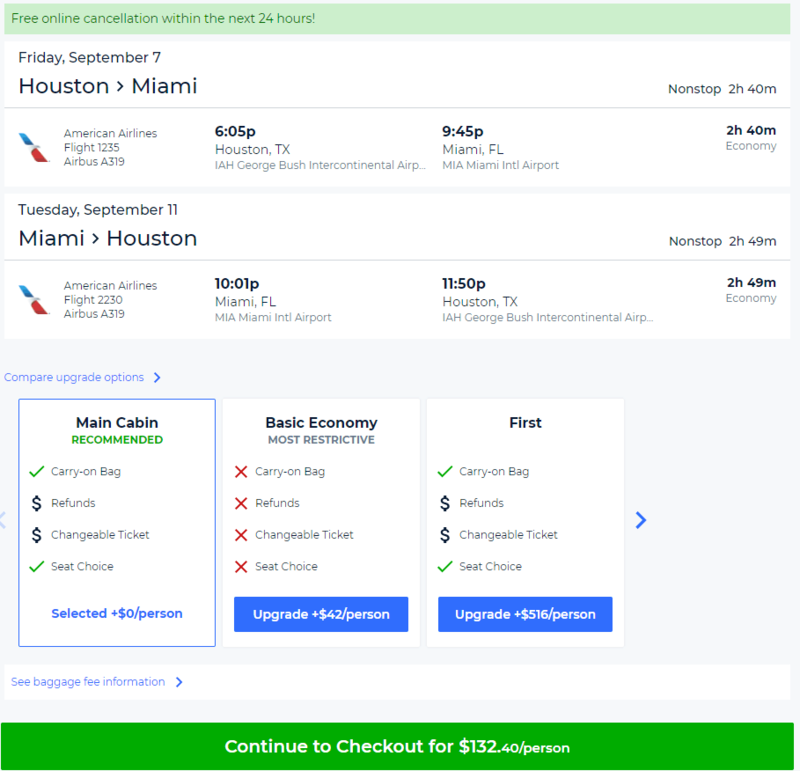 American Airlines has round-trip flights from Houston (IAH) to Miami (MIA) for $133, NONSTOP. $67 each-way. Flights August to mid-November. No Sunday or Monday returns. Origin/Destination reversible. Note: Be sure to search “IAH” and NOT “HOU” for availability. 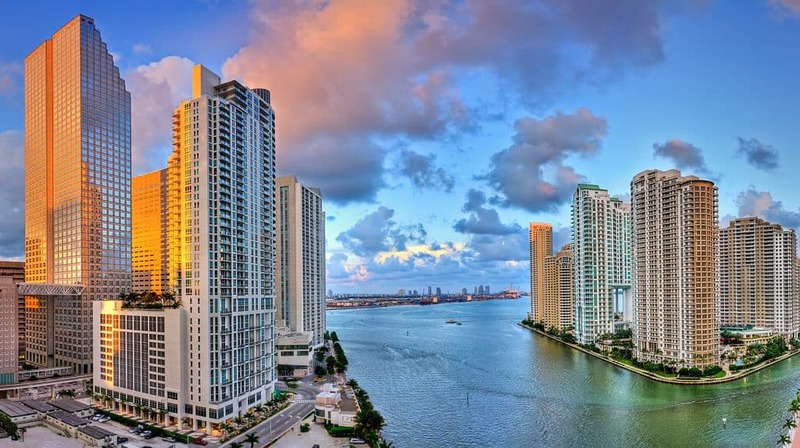 Note: Miami was often $89-$99 last year, but we haven’t seen it dip that low this year. We’ve adjusted our threshold to $140 for Miami. So it will flag anything less than it from this point forward. Example Dates: (BookingBuddy / Priceline) Aug 11 – Aug 16 / Aug 18 – Aug 23 / Aug 25 – Aug 29 / Sep 07 – Sep 11 / Sep 14 – Sep 18 / Sep 21 – Sep 25 /Sep 28 – Oct 02 / Oct 05 – Oct 09 / Oct 12 – Oct 16 / Oct 19 – Oct 23 / Oct 26 – Oct 30 / Nov 02 – Nov 06 / Nov 10 – Nov 14 / Other dates: There are more dates available than the ones we list here, experiment on your own. I was able to pull this up on Priceline. Screenshot taken at 10:33 AM on 07/18/18. Book this fare on: Priceline, Travelocity, Hotwire, Orbitz, CheapTickets, Expedia, BookingBuddy.